Draft: 2005, Cincinnati Reds, 12th rd. Adam M. Rosales was originally signed by Reds scout Rick Sellers...he and his wife, Callie, have a daughter, Juliet, and a son, Adrian ... graduated from Maine (Park Ridge, IL) High School in 2001... majored in physical education at Western Michigan University, where he earned All-MAC first team and All-MAC academic team honors...is founder of Sandlot Nation, a foundation that gets MLB players to travel America and play "sandlot-style" baseball with children from local communities. Signed as a free agent on March 27 after being released by Philadelphia at the conclusion of Spring Training and spent the entire minor league season in Triple-A Columbus, batting .239 (91-for-380) with 22 doubles, one triple, 18 home runs and 61 RBI in 114 games ... Appeared in 36 games at 2B, 32 at 1B, 28 at 3B and nine at SS for the Clippers ... He finished tied for seventh in the International League in homers, ninth in slugging pct. (.445) and batted .290 (27-for-93) for the year with runners in scoring position ... Promoted to Cleveland on Sept. 4...hit his first home run on Sept. 24 at Chicago-AL. Began season with OAK...Hit safely in 9 of his first 11 games, clubbing 2 of his 4 total home runs in that stretch...Batted .276 (16-58) with a .338 OBP vs LHP and .218 (32-147) with a .245 OBP vs RHP...Traded to ARI on 7/31...Defensively, appeared in 11 games at 3rd base, 10 at SS, 6 at 1st base and 3 at 2nd base...Homered 3 times in his final 14 games. Was a non-roster invitee with San Diego during the spring but made the Padres Opening Day roster and spent the entire season in the majors…batted .229 with 13 home runs and 35 RBI in 105 games…28 of his 49 hits (57.1%) were for extra bases and he slugged .495…posted career highs in games, runs (37), doubles (12), triples (3), home runs, RBI, walks (29), slugging percentage, OPS (.814), extra base hits and strikeouts (88) in his ninth season in the majors…matched his best in stolen bases (4)…grounded into just two double plays in 214 at bats…was batting .189 with five home runs and 17 RBI in 58 games before the All-Star Break…then hit .287 with eight home runs and 18 RBI in 47 games after the break…had .664 OPS before the break, 1.030 after the break…batted .237 (23-for-97) with six home runs against left-handed pitching compared to .222 (26-for-117) with seven home runs against right-handers…has 21 home runs in 569 career at bats against lefties, 19 in 744 at bats against righties…hit .200 with runners in scoring position and is a .194 (62-for-319) career hitter with RISP…went 1-for-4 (.250) with the bases loaded and is 2-for-32 (.063) in his career…slugged nine of his 13 home runs and collected 26 of his 35 RBI at Petco Park…batted .311 with a .711 slugging percentage and 1.065 OPS when leading off an inning…had a .323 batting average with three home runs and 10 RBI in 13 interleague games…hit .295 with no outs, .203 with one or two outs…had a .276 batting average in innings one through six, .161 in the seventh inning or later…batted .128 with two strikes…started 53 games at four different positions…the Padres were 28-25 (.528) in his starts, 40-69 (.367) when he did not start…appeared in 41 games (24 starts) at third base, 36 games (22 starts) at second base, 15 games (six starts) at shortstop, two games (one start) in left field and one game each at first base and right field…committed four errors as a second baseman (.957 fielding percentage) and four as a third baseman (.949)…was 5-for-21 (.238) with three doubles, two RBI, a walk and 12 strikeouts as a pinch hitter…is a .171 (14-for-82) career hitter in the pinch…started games in each of the bottom five spots in the order, including 30 from the eight spot. Spent the entire season with Texas and hit .228 with four doubles, three home runs, seven RBI and 14 runs scored in 55 games played…started 32 games, including 16 at second base, 10 at first base, five at third base and one in left field…also made his professional debut as a pitcher with two appearances on the mound…his first appearance came on June 26 at Toronto when he pitched the eighth inning of the Rangers 12-2 loss (1.0 ip, 1 h, 1 r, 1 er)…surrendered a solo home run to Danny Valencia…his second outing came on July 28 against New York (AL) in the Rangers 21-5 loss (1.0 ip, 1 h, 2 r, 1 er, 1 bb, 1 so)…allowed a two-run home run to Brett Gardner…joins Jeff Kunkel (1988-89) as the only Texas position players with multiple mound appearances…is the first to do it in one season…batted .244 against right-handed pitching, .217 against left-handers…had a .185 batting average with runners in scoring position…hit .444 in seven interleague games…batted .318 when leading off an inning…compiled a .346 average in the eighth inning or later…went 7-for-12 (.583) with a pair of doubles when putting the first pitch in play…went 4-for-4 May 30 against Boston to match his career high for hits (also April 27, 2010 at Tampa Bay)…was designated for assignment by the Rangers Aug. 19 and was released Aug. 23…did not play the rest of the season. Was purchased from Round Rock (AAA) on 6/30 and spent final 3 months with the Rangers...made starts at 1B (27), 2B (5), 3B (5), DH (5), and SS (2)...started 31 of Texas' final 36 games beginning 8/22...his .262 batting average was 2nd highest of career (.271 in 2010) while his .328 OBP was a career best...batted .314 (27-86) in 27 road games and hit .293 (12-41) with RISP. Split the campaign between Oakland and Texas, batting a combined .190 (28-147) with 5 doubles, 5 home runs, 12 RBI, and 15 runs scored in 68 games…hit .313 (15-48) over his first 16 games of the season through May 12, but batted just .131 (13-99) in his final 52 games, including .104 (5-48) in his last 33 games to drop from .232 to .190…went 0-for-8 with the bases loaded, moving to 0-for-18 in his career with bags full… went 0-for-14 with a walk as a pinch-hitter and is 0-for-16 as a PH since his last pinch-hit, 8/1/10 at CWS…had 7 errors in 189 TC (.963), seeing time at SS (39 G/33 GS), 2B (15 G/0 GS), 3B (4 G/1 GS), 1B (4 G/1 GS), and left field (1 G/0 GS). Batted .222 with two home runs and eight RBI in 42 games over three stints with the A's...started 31 games at four different positions, including 18 at second base, nine at shortstop, three at first base and one at third base...did not commit an error in 42 games overall on defense, including 21 games at second base...has not made an error in 77 career games at second base, including 71 with the A's...that is the second longest errorless streak by a second baseman in Oakland history...hit .293 during the day compared to .172 at night...was 7-for-17 (.412) with two walks (.474 on-base percentage) when leading off an inning...has a .330 (30-for-91) batting average and .396 on-base percentage (nine walks, one hit by pitch) leading off an inning in three seasons with the A's...batted .167 in 13 games before the All-Star Break, .240 with both of his home runs in 29 games after the break...hit .159 against a pitcher the first time he saw him in a game, .333 after that...had a .268 batting average and both of his home runs with the bases empty compared to .163 with runners on base...hit .130 with runners in scoring position and has a .195 (31-for-159) career average with RISP...batted .229 (8-for-35) against right-handed pitching compared to .219 (14-for-64) against left-handers...made 17 starts batting ninth and 12 hitting eighth. Began the season on the 60-day disabled list, recovering from a fractured right foot...was reinstated fromthe DL June 6 but was never able to get on track offensively...hit .098 (6 for 61) in 24 games over threestints with the A's...the batting average was the lowest in Athletics history among non-pitchers with 60or more at bats...it is the lowest in the American League since Charlie O'Brien hit .097 for Anaheim in1999...it is the lowest by any Athletic since pitcher Jim Nash hit .068 in 1968...two of his six hits werehome runs and he had eight RBI...was 1-for-29 (.034) during the day...hit .156 at night...hit both of hishome runs off left-handed pitching on the road...in his two seasons with the A's, he has six home runs in125 at-bats against left-handed pitching, three in 191 against right-handers...eight of his nine home runswere on the road...batted .125 with runners in scoring position and is a .206 (28 for 136) career hitterwith RISP...was 0-for-12 when leading off an inning...started 18 games at five different positions (six atshortstop, five at third base, four at first base, two at second base, one in left field)...also struck out in hisonly pinch-hitting appearance...did not commit an error in three games at second base and has not madean error in 56 career games at the position...played for Mexicali in the Mexican-Pacific Winter League andwas 5 for 25 (.200) with four walks and two RBI in seven games. OAKLAND: Did not appear in a Spring Training game and was placed on the 60-day disabled list March30 retroactive to March 22 with a fractured right foot before being reinstated from the disabled list June6...started that day at third base at Baltimore and went 1-for-4 with a two-run home run...went 1-for-13over his next five games before hitting his second home run June 25 at Philadelphia...was batting .121 (4-for-33) with two home runs and five RBI when he was optioned to Sacramento between games of the July16 doubleheader against Los Angeles...returned for his second stint Aug. 2, going 0-for-15 with two RBIand two walks in five games before he was sent back to Sacramento Aug. 13...returned for the final timeSept. 2 when rosters expanded and went 2-for-13 (.154) in seven games...snapped a career-long 0-for-34streak with an eighth-inning single Sept. 26 at Seattle...that matched the fifth-longest hitless streak in Oaklandhistory and was the longest since Jose Canseco went 0-for-40 from Aug. 8-23, 1986. SACRAMENTO: Batted .265 with three home runs and 22 RBI in 40 games with the River Cats...hit.297 (30-for-101) against right-handed pitching, compared to .196 (9-for-46) against left-handers...had a.361 average with runners in scoring position but was just 3-for-16 (.188) with RISP and two outs...batted.193 with the bases empty, .359 with runners on...all three of his home runs came with runners on base...hit .407 in the eighth inning or later...appeared in 32 games at shortstop, four at second base and four atthird base...hit in every spot in the order except third, fourth and fifth and saw his most action with 18games batting ninth...his first stay with Sacramento was during his rehab assignment and he went 3-for-10 (.300) in three games with a double and triple...returned July 17 and batted .250 (16-for-64) with twohome runs and 11 RBI in 17 games before he returned to Oakland Aug. 2...went 3-for-5 with a season-highfour RBI July 24 against Reno...his final stay with the River Cats ran from Aug. 13 to Sept. 1, hitting .274(20 for 73) with a home run and 10 RBI in 20 games...snapped a 0-for-16 streak with an eighth inningsingle Aug. 25 at Fresno...that began a season-high six-game hitting streak (10-for-21, .476)...had fourstraight multiple-hit games from Aug. 26-29. Filled the utility role for the A's in 2010 as he made 45 starts at second base, 10 at shortstop, five at thirdbase, three at first base, three in left field and one at designated hitter before a stress fracture in his rightankle ended his season in mid-August...became the first Athletic to start at least one game at six differentpositions since Scott Brosius in 1995...batted .271 with seven home runs and 31 RBI in 80 gamesoverall...entered the season with a .212 career average, four home runs and 21 RBI in 105 games overtwo seasons with Cincinnati...hit four home runs in 90 at bats against left-handed pitching, three in 165at bats against right-handers...the home runs off southpaws were the first of his career...six of his sevenhome runs came on the road...batted .371 with a .426 on-base percentage when leading off an inning...hit .224 with runners in scoring position and is a .217 (26-for-120) career hitter with RISP...grounded intojust one double play in 255 at bats...in the majors, only Seattle's Michael Saunders had more at bats withone GIDP or fewer (289)...was 3-for-10 (.300) with a triple, home run and two RBI as a pinch hitter...committed two errors on defense, both coming during his 14 games as a shortstop...did not make an errorin 47 games at second base and has not committed an error in 53 career games at second...started gamesat every spot in the order except first, third and fourth...hit .474 in seven games batting ninth and .298 in17 games hitting fifth. OAKLAND: Was on an Opening Day roster for the first time in his three seasons in the majors...started35 of the A's 37 games at second base from April 11 to May 21 while Mark Ellis was out with a strainedleft hamstring...hit .266 with three home runs and 15 RBI over that stretch...would make just 31 startsthe rest of the way...drove in a career-high four runs April 11 at Los Angeles in his first start as an Athletic(second base)...also had a four-RBI game May 26 at Baltimore....hit safely in a career-high tyingsix consecutive games from April 23 to 29 (10-for-22, .455)...that included his first career four-hit gameApril 27 at Tampa Bay...it was the 19th four-hit game by a player hitting ninth in Oakland history...finished April with a .305 batting average...went 2-for-2 with two walks May 2 at Toronto to boost hisaverage to .323....then went 5-for-42 (.119) over his next 11 games to fall to .243...started all threegames of the San Francisco series, May 21-23, at three different positions (second base, third base, leftfield)...his start in left on the 23rd was his first major league appearance in the outfield...it was his thirdprofessional appearance in the outfield as he played two games in left field for Double-A Chattanoogain 2007...hit his second career pinch hit home run June 12 at San Francisco, the 100th pinch hit homerun in Oakland history...that capped a 20-game stretch from May 16 to June 12 where he batted .344with three home runs and 10 RBI...went 0 for his next 17 following the pinch hit home run, which wasthe longest hitless streak of his career...snapped the hitless skid with a pinch-hit triple June 25 againstPittsburgh...it was just the second pinch hit triple by an Athletic over the last 14 years (Rajai Davis,Aug. 3, 2009 vs. Texas)...finished June with a .209 batting average but then hit .321 in July...batted .429 (15-for-35) with seven RBI over an 11-game stretch from June 25 to July 17 before going 6-for-33 (.182)over his next 11 games through Aug. 11...was placed on the 15-day disabled list Aug. 13, retroactive toAug. 12, with a stress fracture in his right ankle...it was his first career stint on the DL...was transferredto the 60-day DL Sept. 10 and missed the remainder of the season. Batted .213 with four home runs and 19 RBI in 87 games over two stints with Cincinnati...also hit .349with five home runs and 20 RBI in 30 games with Triple-A Louisville...for the Reds, appeared in 57games (44 starts) at third base, 11 games (seven starts) at first base, six games (four starts) at shortstopand four games (one start) at second base...began the season with Louisville and was hitting .431 in 17games before he was promoted to Cincinnati April 28, when Edwin Encarnacion went on the disabledlist...returned to Louisville June 27, when Homer Bailey was recalled, and rejoined the Reds July 12,when Jay Bruce was injured...spent the rest of the season in Cincinnati and appeared in 45 games...hithis first career home run, a solo shot off Adam Wainwright, May 10 against St. Louis...also homeredthe next day at Arizona, another solo shot off Jon Garland...connected for his first career pinch hit homerun, a three shot off Mike Ekstrom, July 30 against San Diego...made his first career start at first base,May 17 at San Diego...made four starts at that position from May 17 to 25 in Joey Votto's absence...made his first career appearance at shortstop, July 18 vs. Milwaukee...while with Louisville, he was theorganization's Player of the Month for April after hitting .431 with seven doubles, a triple, four homeruns, 15 RBI and two stolen bases in 17 games...was one of the last cuts of spring training...in camphit .260 and ranked among the club leaders in spring games (25, t-4th), home runs (2, t-3rd), RBI (12,t-2nd) and steals (3, t-2nd)...following the season played for Mexicali in the Mexican Winter Leagueand hit .285 with 13 doubles, six triples, six home runs, 34 RBI, seven stolen bases and 56 runs scoredin 60 games. In his Major League debut, appeared in 18 games during three stints with the Reds (Aug. 9-15,Aug. 20-29, Sept. 9-rest of the season)...made five starts (three at third base, two at second base)...in117 games for Louisville, he hit .287 and appeared in 66 games at third base, 25 at shortstop, 19 at firstbase and nine at second base...ranked 10th among all Reds farmhands in hitting...was promoted forthe first time Aug. 9, when Joey Votto went on the bereavement list...made five pinch-hitting appearances(1 for 5, .200) before returning to Louisville Aug. 16, when Votto was reinstated...made his bigleague debut Aug. 9 vs. Houston and flied out off Brian Moehler...recorded his first career hit Aug. 12 atPittsburgh, a pinch-hit single off Sean Burnett...made his first career start Aug. 28 at Houston after eightpinch-hit appearances and played third base (0 for 2, 1 bb)...recorded his first career RBI and first careerstolen base, Sept. 18 against St. Louis...while with the Bats he was hit by a pitch 14 times, which tiedfor the International League lead...led the Bats with 38 multi-hit games and 11 three-hit games...homeredtwice June 24 vs. Rochester...beginning July 7, he hit safely in 28 of 32 games (.404), includinga season-high 12-game hitting streak from July 11-25 (.458)...played for Arecibo in the Puerto RicanWinter League and hit .295 with two home runs, 19 RBI and three stolen bases in 19 games. Was the Reds Minor League Hitter of the Year and a Florida State League Midseason All-Star...in 136 games at Single-A Sarasota and Double-A Chattanooga, he combined to hit .286 with 41 doubles,11 triples, 18 home runs, 79 RBI, 13 stolen bases and 98 runs scored...ranked eighth among all minorleague players with 70 extra-base hits...began the season at Sarasota and was promoted June 21...wasChattanooga's Player of the Month for August...following the season played for Surprise in the ArizonaFall League and hit .292 with one home run, 10 RBI and two stolen bases in 14 games. In 89 games at Single-A Dayton and Single-A Sarasota, he combined to hit .250 with eight homeruns, 43 RBI and eight stolen bases...was Dayton's Player of the Month for July...produced two-homergames July 10 vs. Quad Cities (3 RBI) and July 29 at Peoria (4 RBI, 4 runs). Spent his first professional season at rookie Billings and Single-A Dayton...combined to hit .325with 14 home runs and 46 RBI in 66 games...hit safely in 27 of his 34 games with the Mustangs beforehe was promoted to Dayton July 29...hit safely in 27 of his 32 appearances for the Dragons...recorded aseason-high 15-game hitting streak from Aug. 6-22 (.299, 4 HR, 6 RBI)...homered in three consecutivegames, Aug. 17 and 18 at Lansing and Aug. 19 at South Bend...hit two solo homers Aug. 31 vs. Wisconsin...was named Midwest League Player of the Week for the week of Aug. 29-Sept. 5. April 1, 2019 2B Adam Rosales assigned to Rochester Red Wings. March 28, 2019 Minnesota Twins signed free agent 2B Adam Rosales to a minor league contract. 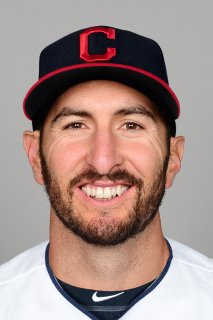 March 22, 2019 Minnesota Twins released 2B Adam Rosales. February 9, 2019 2B Adam Rosales assigned to Rochester Red Wings. February 8, 2019 Minnesota Twins signed free agent 2B Adam Rosales to a minor league contract and invited him to spring training. October 29, 2018 2B Adam Rosales elected free agency. September 4, 2018 Cleveland Indians selected the contract of 2B Adam Rosales from Columbus Clippers. March 27, 2018 Cleveland Indians signed free agent SS Adam Rosales to a minor league contract. March 27, 2018 2B Adam Rosales assigned to Columbus Clippers. March 23, 2018 Philadelphia Phillies released SS Adam Rosales. February 1, 2018 Philadelphia Phillies signed free agent SS Adam Rosales to a minor league contract and invited him to spring training. February 1, 2018 SS Adam Rosales assigned to Lehigh Valley IronPigs. November 2, 2017 SS Adam Rosales elected free agency. August 1, 2017 Arizona Diamondbacks activated SS Adam Rosales. July 31, 2017 Oakland Athletics traded SS Adam Rosales to Arizona Diamondbacks for RHP Jeferson Mejia. January 25, 2017 Oakland Athletics signed free agent SS Adam Rosales. November 3, 2016 3B Adam Rosales elected free agency. April 3, 2016 San Diego Padres selected the contract of 3B Adam Rosales from El Paso Chihuahuas. January 12, 2016 1B Adam Rosales assigned to El Paso Chihuahuas. January 1, 2016 San Diego Padres signed free agent 1B Adam Rosales to a minor league contract and invited him to spring training. August 23, 2015 Texas Rangers released 2B Adam Rosales. August 19, 2015 Texas Rangers designated 2B Adam Rosales for assignment. January 5, 2015 Texas Rangers signed free agent 2B Adam Rosales. December 2, 2014 1B Adam Rosales elected free agency. June 30, 2014 Texas Rangers selected the contract of 1B Adam Rosales from Round Rock Express. June 27, 2014 Round Rock Express placed 1B Adam Rosales on the temporarily inactive list. April 2, 2014 Texas Rangers sent 1B Adam Rosales outright to Round Rock Express. March 30, 2014 Texas Rangers designated 1B Adam Rosales for assignment. August 13, 2013 Texas Rangers activated 1B Adam Rosales. August 12, 2013 Texas Rangers claimed SS Adam Rosales off waivers from Oakland Athletics. August 10, 2013 Oakland Athletics designated Adam Rosales for assignment. August 9, 2013 Oakland Athletics activated SS Adam Rosales. August 8, 2013 Oakland Athletics claimed SS Adam Rosales off waivers from Texas Rangers. August 5, 2013 Texas Rangers designated Adam Rosales for assignment. August 2, 2013 Texas Rangers claimed SS Adam Rosales off waivers from Oakland Athletics. July 31, 2013 Oakland Athletics designated Adam Rosales for assignment. July 24, 2013 Oakland Athletics selected the contract of SS Adam Rosales from Sacramento River Cats. July 12, 2013 Oakland Athletics sent Adam Rosales outright to Sacramento River Cats. July 8, 2013 Oakland Athletics designated Adam Rosales for assignment. April 25, 2013 Oakland Athletics activated SS Adam Rosales from the 15-day disabled list. April 21, 2013 Oakland Athletics sent 2B Adam Rosales on a rehab assignment to Sacramento River Cats. April 17, 2013 Oakland Athletics sent 2B Adam Rosales on a rehab assignment to Stockton Ports. March 26, 2013 Oakland Athletics placed 2B Adam Rosales on the 15-day disabled list. Strained left intercostal. August 2, 2012 Oakland Athletics recalled 2B Adam Rosales from Sacramento River Cats. June 16, 2012 Oakland Athletics optioned Adam Rosales to Sacramento River Cats. May 17, 2012 Oakland Athletics recalled Adam Rosales from Sacramento River Cats. April 2, 2012 Oakland Athletics optioned Adam Rosales to Sacramento River Cats. October 20, 2011 Aguilas de Mexicali placed 2B Adam Rosales on the reserve list. October 10, 2011 2B Adam Rosales assigned to Aguilas de Mexicali. September 2, 2011 Oakland Athletics recalled Adam Rosales from Sacramento River Cats. August 13, 2011 Oakland Athletics optioned Adam Rosales to Sacramento River Cats. August 2, 2011 Oakland Athletics recalled Adam Rosales from Sacramento River Cats. July 16, 2011 Oakland Athletics optioned Adam Rosales to Sacramento River Cats. July 16, 2011 Adam Rosales assigned to Sacramento River Cats. June 6, 2011 Adam Rosales roster status changed by Oakland Athletics. June 1, 2011 sent 2B Adam Rosales on a rehab assignment to Sacramento River Cats. March 30, 2011 Oakland Athletics placed 2B Adam Rosales on the 60-day disabled list retroactive to March 22, 2011. Fractured right foot. November 5, 2010 Oakland Athletics activated 2B Adam Rosales from the 60-day disabled list. September 10, 2010 Oakland Athletics transferred 2B Adam Rosales from the 15-day disabled list to the 60-day disabled list. August 13, 2010 Oakland Athletics placed 2B Adam Rosales on the 15-day disabled list retroactive to August 12, 2010. Stress fracture in his right ankle. February 1, 2010 Cincinnati Reds traded 2B Adam Rosales and Willy Taveras to Oakland Athletics for 2B Aaron Miles. October 6, 2009 3B Adam Rosales assigned to Aguilas de Mexicali. July 12, 2009 Cincinnati Reds recalled Adam Rosales from Louisville Bats. June 27, 2009 Cincinnati Reds optioned Adam Rosales to Louisville Bats. April 28, 2009 Cincinnati Reds recalled Adam Rosales from Louisville Bats. June 9, 2005 Cincinnati Reds signed SS Adam Rosales.